Forgive me for writing quickly. I am so tired today. I stayed up to late and ended up getting around 4 hours of sleep. I hope I can crash tonight. Anyway, I am down to my last two boxes for box month 😦 . The mail won’t be the same after this month and I still haven’t decided which one’s I’m going to keep. Which one’s have you liked or been interested in? Once box month is finished I will give the blog a rest and only do periodic updates but you will be able to find photos and such on my instagram. Today I received a brand new box. Meaning this is the inaugural box. (This also means they are eager to get it out there so contact them if you have a blog with hits or a youtube channel). You can get 20% off using code ESCAPENOW. With this discount the box ends up being $39 and while that is a lot for the box you will find the value is there. So the idea behind this box is you get all the stuff to get to know a vacation spot, including a guidebook if you decide to travel there. They also have a contest and give away said vacation with each box. There aren’t a ton of subscribers since it’s new so I think you chances are higher than in other sweepstakes. 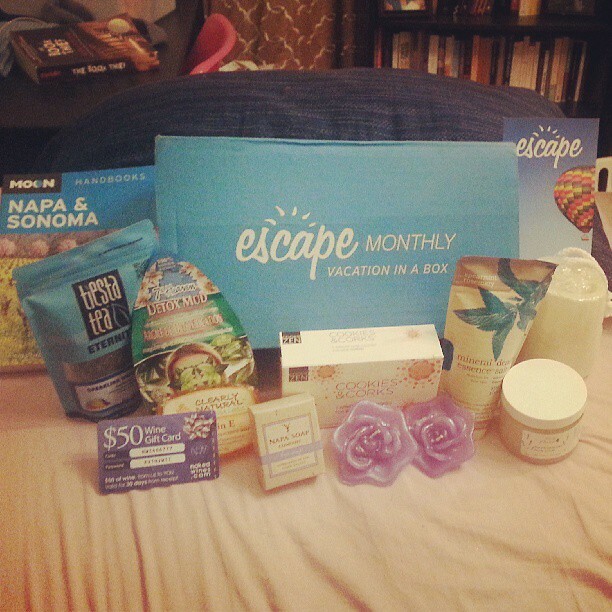 The box this month was on Napa so unfortunately for me it had some wine/tea items I will not be able to eat. However, my friends will or I will use them for topical applications. Fortunately even with those items removed I still save $20 on the contents of my box. Pretty good. Escape box. Pretty good, right. Got two more boxes today for box month and they are both food boxes. I think the last of my food boxes. If you want to do a box month contact the different subscriptions, tell them about your blog and you may get lucky. Its been really fun. This is a great box for those that want to dabble in boxes but don’t want to invest much money . It is only $7 a month! I spend that much on a cafe rio burrito! They also have a points system where you can add reviews and get discounts, free shipping on products. It is a smaller box and the value came to right about $7 so its not a huge value box but the cost is so low I think it has its appeal. This is not specifically a healthy box; although all of the products appear to be all-natural and ingredient conscious. Mostly its a snacking box. They have an adult box and one designed for kids. I got the adult box to to try and enjoyed it. I have already talked about this box on my blog because its one I have done for a couple of months. I love it. Its my favorite food box. The great things about this box is you can pick what products you want, they are full size, all nutritionist recommended and yummy! This box is a great bargain too. 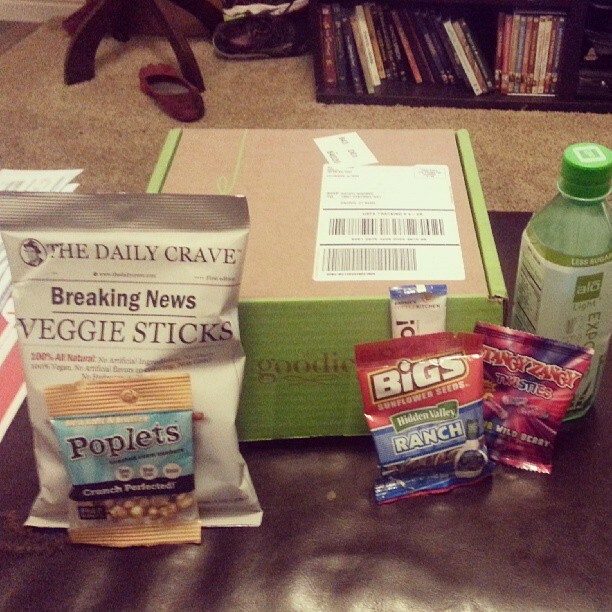 My box this month was valued at $27.11 and that is being conservative. I think it would be great for an office breakroom. You could get healthy snacks for your employees without having to go to the store or to Costco! It is definitely the largest of all the food boxes I tried and still my favorite. I highly recommend it. They also have lots of gluten free and vegan options so you just pick what you like. I can’t recommend it highly enough. This month I tried a few new things like the guacamole bites and garlic pumpkin seeds and some of my favorites from past boxes like the cheddar pub pretzels (so good!). You can also be suprised by snackbox if you prefer and you can add on to your box for a very reasonable fee. 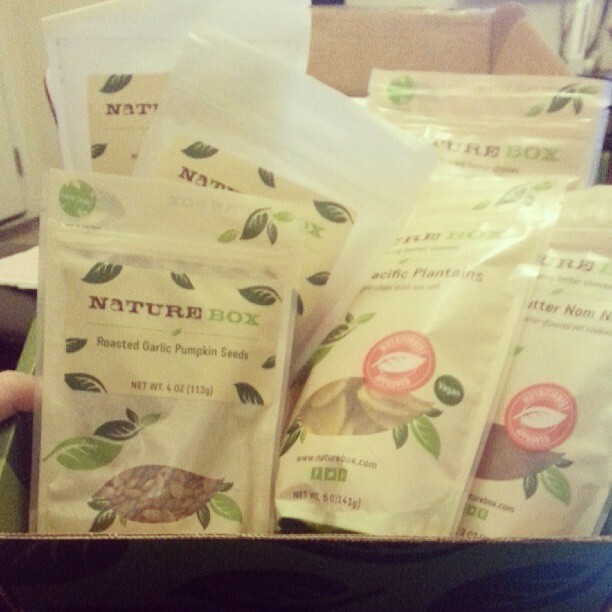 Naturebox is not a sample box. All of the products are made with the naturebox label which is part of the reason why you are given such generous amounts for the $19.95 cost. I love it. Give it a try!